Manchester United are back in Premier League action on Sunday following our 2-1 victory to start the season against Leicester City last Friday. We travel to the AMEX Stadium to take on Brighton & Hove Albion on the south coast after the Seagulls were convincingly beaten 2-0 at Watford last weekend. Jose Mourinho is expected to be able to welcome back Romelu Lukaku and Ashley Young to the starting XI but we still have a number of players sidelined. Was well-protected in our opener and only had to pull off two good stops until Leicester City bundled home a stoppage time consolation. David de Gea will be looking for his first clean sheet this weekend against a side whom failed to score in their first game of 2018-19 and whom didn’t score a great deal of goals last season. Victor Lindelof got the nod over Chris Smalling and Phil Jones last weekend so there’s no reason why the Swede won’t partner Eric Bailly in the middle of our back four again. Luke Shaw had a good game at Old Trafford versus Leicester which included scoring his first professional goal, so should keep his place at left-back. 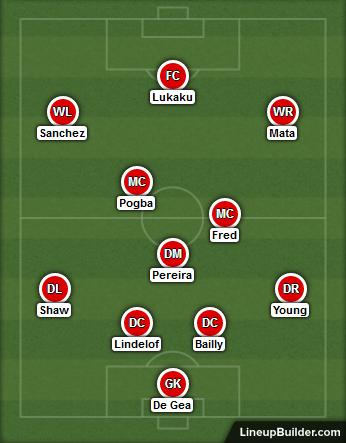 Ashley Young should be good to make his first start of the campaign and it could be at left-back in place of Matteo Darmian whilst Antonio Valencia and Diogo Dalot are both ruled out. It was an impressive display from our midfield trio to start the season and I think we’ll see the same three faces at the AMEX this Sunday too. Nemanja Matic and Ander Herrera are both sidelined so it’s only Scott McTominay giving them competition. Andreas Pereira was good at winning the ball back for our side and played a simple passing game too to help teammates start attacks. Fred was very energetic on his debut and we look forward to seeing more of him as the season progresses. 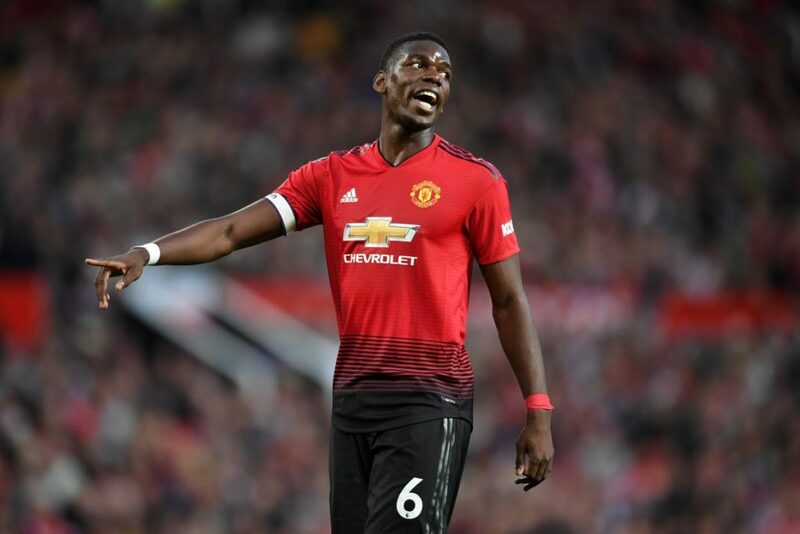 Paul Pogba put in an excellent display as captain and now we’re hoping for a spectacular and consistent performance throughout the season from the 2018 World Cup winner. Juan Mata came alive in the final 20 minutes last weekend and with Jesse Lingard a doubt for this game then the Spaniard should maintain his place in the starting lineup. Alexis Sanchez was hit and miss versus Leicester but there’s no reason why he won’t start this one after having the summer off. Romelu Lukaku should be good to go after a 20-minute cameo last weekend. Marcus Rashford and Anthony Martial are in reserve.